Kids will surely love this cute little bag, a perfect kids backpacks, where they can store their school stuff and use it as a book bag or kids’ library bag especially for those little misses who always want to look great wherever they go. This cute kids backpack for school is made out of heavy duty canvas material in which stuffing it with a little more than school things is okay without worrying as the bag is very durable. Whether in school or going outdoors with friends, its uniquely handmade design will surely let your child’s happy, playful and creative character shine and let them stand out from all the rest. It is almost like the bag was specifically made to fit your kid’s personality and give it that personalized look and touch. It is delicately hand crafted to ensure not only the strength, fashionable look of the product but also the ease and comfort for kids’ use. 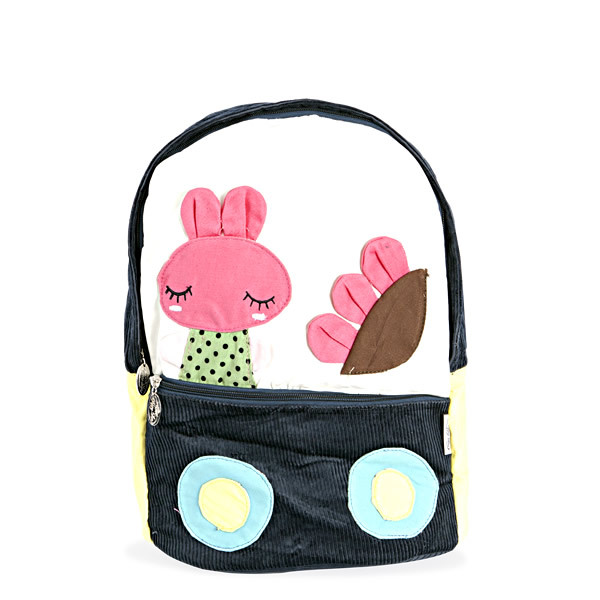 Perfect for kids where they can easily store stuff and still look trendy. For any backpacks for school needs, this is the perfect bag to get. With this functional but fashionable bag, going out for school or simply for fun can be quick and easy.